Success with the KiwiBuild project could further slow the property market, which is already feeling the impact of a winter chill, according to Trade Me Property. The latest Trade Me Property Price Index shows that property prices around the country are cooling with the national average asking price falling 0.6% on May to $642,050 in June. Head of Trade Me Property Nigel Jeffries says the New Zealand property market was entering its typical winter slowdown and as temperatures dropped in June, so too did price expectations. But it is the KiwiBuild project that could ultimately have a significant impact on the market if it hits its targets, he says. “If KiwiBuild fulfils its potential we could see some changes to for sale and rent prices. 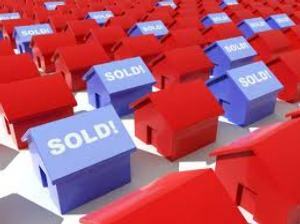 Demand will ease in the first home buyer segment which will mean prices could reduce. The big question in all of this is if the Government can hit the numbers they’ve promised, Jeffries says. Meanwhile, both the Auckland and Wellington markets continued to ease in June. In Auckland the average asking price dipping 0.9% on May to $910,250 and there are now more properties on the market than last year. Jefferies says the number of properties for sale was up 5% on last year and a staggering 42% on 2016. In Wellington, the average asking price fell by 1.6% on May to $580,450 in June but property listings were down by 3% on last year. Jefferies says that means the Wellington market should bounce back pretty quickly once spring rolls around. Around the rest of the country, Hawkes Bay and the Nelson/Tasman region were June’s star performers when it came to average asking price growth. Hawke’s Bay property prices climbed 22.7% on last year to a new high of $546,300, while Nelson/Tasman’s average asking price was up 10.7% year-on-year to a new record of $590,750.